Do you know that there are almost every on-demand mobile app, from on-demand taxi app to food ordering apps, are available? 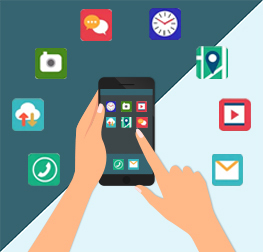 In fact, many mobile app development services providers are switching their development service to on-demand apps for different services like taxi, food, laundry & dry cleaning services as well. 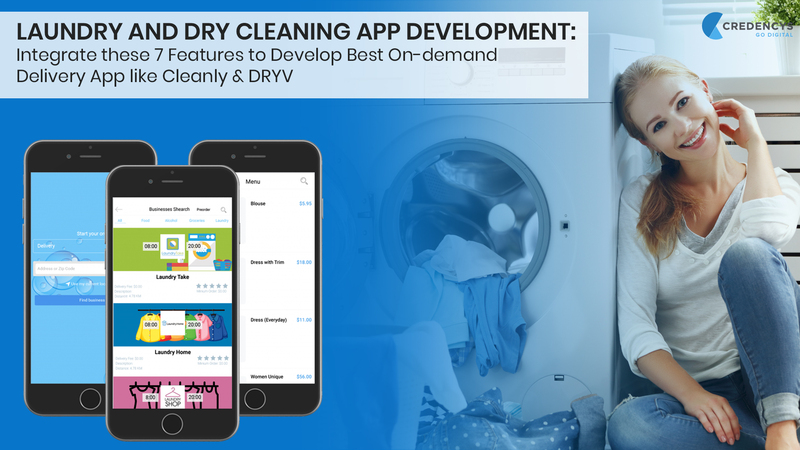 Talking about the best on-demand laundry and dry-cleaning apps, there are a few popular apps like Cleanly, DRYV, Laundrapp, etc. available for users to book their laundry and dry cleaning services with just a few clicks. All thanks to Uber-like apps for laundry and dry cleaning services that can help people to arrange their wardrobes perfectly. According to the grandviewresearch.com, there was the largest revenue share of 39.5% as of 2016 of retail & dry cleaning services. Alone in the USA, there are around 33,000 single location companies facilities & dry cleaning service market and about 22,000 of them offers retail solutions. Talking about the coin collection segment, it accounted for 15% of overall revenue, as there are around 11,000 establishments offering such services in the USA, including one of our clients for whom we have developed Mobility Solution for Field Service. 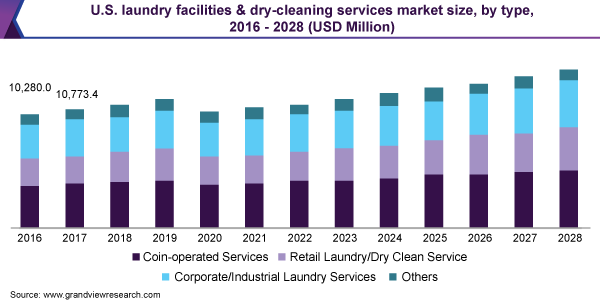 According to the Statista.com, the market size of laundry facilities and dry cleaning services will amount to 14.5 US billion dollars by 2025. And, it is also expected that the revenue of laundry services and dry cleaning service will reach to 7,660 by 2020. 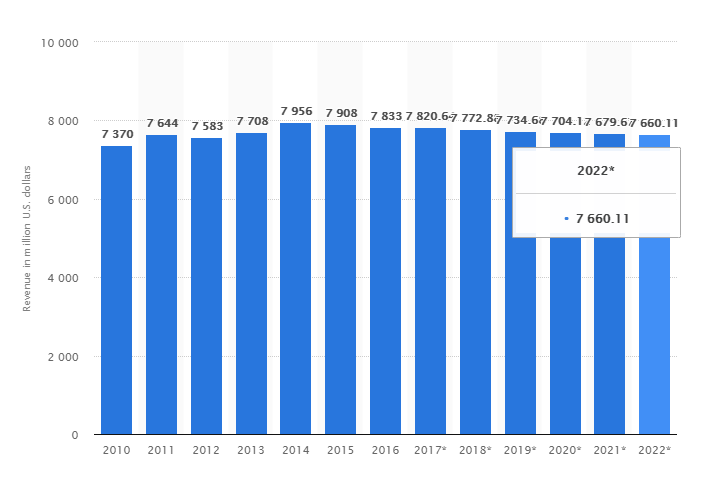 Going through this stats, it is cleared that on-demand services for laundry and dry cleaning were, are and will be at high growth. Cleanly is the leader of on-demand dry cleaning and laundry service, generating $2 million per year. This application provides on-demand laundry and dry-cleaning service to its app users. Till now, this app has raised the total funding of $7.3M, however, it is expected that it will set to grow 3.4% over the next five years. Offering dry cleaning services, Laundrapp is the best U.K’s #1 laundry and dry cleaning app launched in 2014. This app pleases its users by offering quick and convenient pickup services right from the users’ doorsteps. DRYV is another Uber-like on-demand dry-cleaning and laundry service app, offering on-demand pickup and delivery seven days a week. Till now, this app has raised a total of 1.5M in Series A funding on Jun 2, 2016. We all know that for every on-demand service providing an app, log-in page is one of the important factors for both the clients and staff. Thus, it is a must to have a registration portal in your laundry application. Your registration page only has a few things like name, contact number, email ID, residential address. It will be good to allow your users to make registration through social media like Facebook. The most demanding feature by customers is in-app chat support. 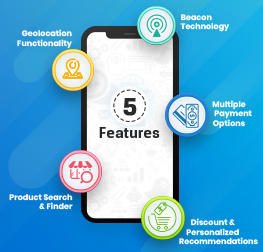 As customers are not preferring to contact their service providers through third parties to other users, an in-app chat support system will be helpful for merchants to provide instant support service. Nowadays, everyone is offering multiple payment options, but to attract the users it will be good to allow your users to make partial payments from one mode and partial from others. You can also integrate various payment options like eWallets, Credit Card, Debit Card, Net Banking, and so on. Most of the laundry and dry-cleaning service providers are integrating Global Positioning System (GPS) tracking system in their application to allow users to track the laundry service and know the status. In addition to track orders, real-time tracking feature enables users to get detailed reports about the activities done through laundry app. The best thing about this feature is it will update system real-time, so user and admin get the latest information about the upcoming deliveries. There are some reasons when customers want to cancel their orders. 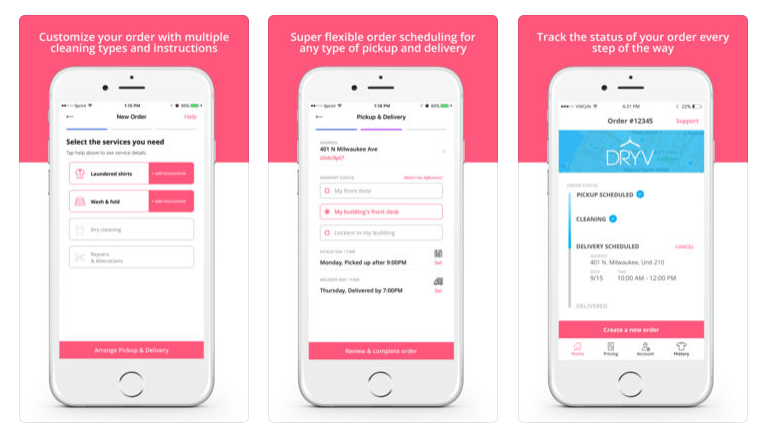 Integrate order cancellation feature in your laundry app, so customers can easily cancel their orders and get an instant notification to the customer and delivery person about booking cancellation. The common feature to attract more customers is to add deals and offers features. With offers and discount deals, merchants can keep customers interested in their service for a longer period of time. To attract customers, you can offer 10-15% discount on their first order, free washing or free ironing for a specific number of clothes. 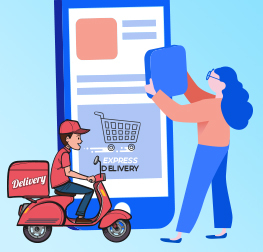 Add review and feedback in your application, so customers can leave their precious comments and feedback related to service received, laundryman, and delivery person. With feedback and review, you can come to know about areas of improvements as well. How Does the Laundry App Works? A user has to logged-in into his/her account and request for the laundry service by choosing the date and time from the calendar. Admin gets the request and checks the availability for the same. If it is available, admin accepts the request and give confirmation through SMS and email, as per available contact details. The pick-up person will contact a user to place the clothes for pickup. Clothes are sent to the laundry center for dry-cleaning, ironing and delivered them before getting dispatched. Lastly, clothes wrapped in the paper sheets and delivered. 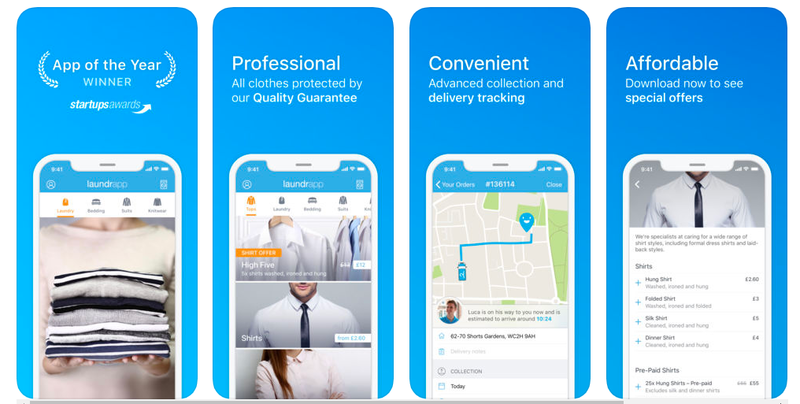 How Much Does It Cost to Develop Laundry and Dry Cleaning App like Cleanly? 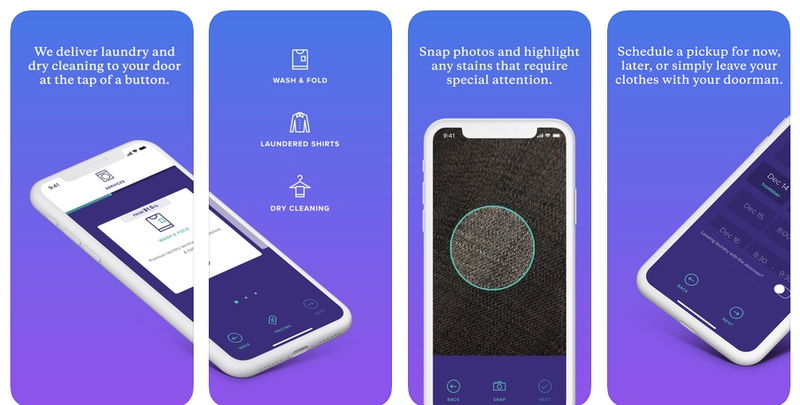 The most interesting part is to calculate the cost of laundry and dry cleaning app, as almost everyone who reads this post, are willing to start their own laundry business or are already into it. 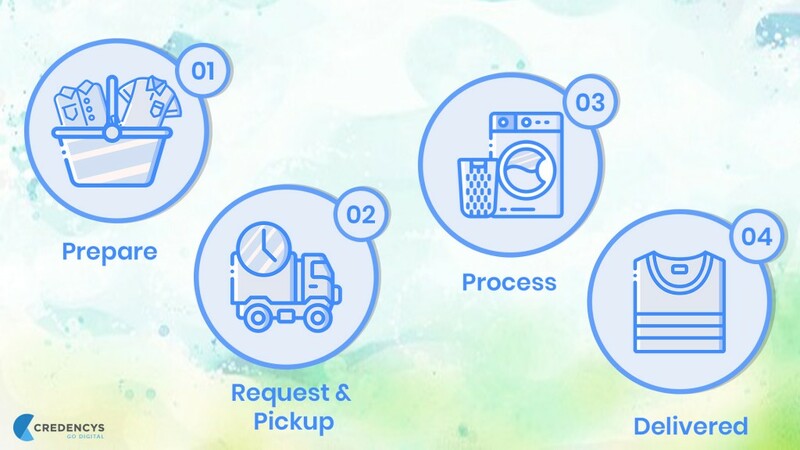 Let me tell you the cost of laundry and dry cleaning app depends on the development hours, functionality and features to integrate. 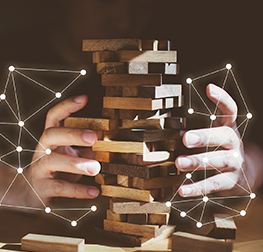 Here, the important factors include a selection of platform, whether you want to develop an android app or iPhone app or both, a design of an application, front-end and back-end development and app quality check. If you want to know the exact cost of development, you can contact our mobile app development experts. We are providing 30-minutes free consultation to our potential client to discuss their requirements and offer a free quotation from the expert mobile app developers at Credencys Solution Inc.